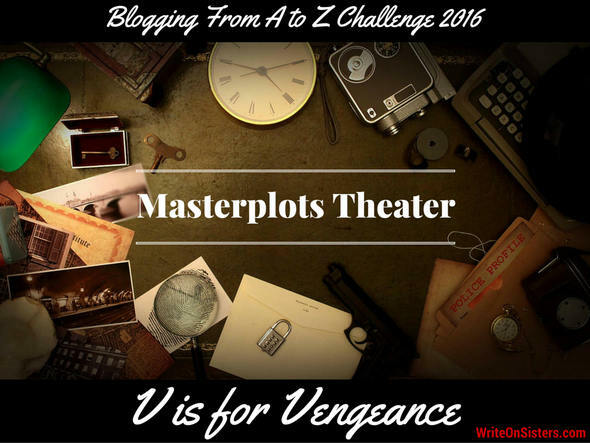 The main drive of this masterplot is simple: the protagonist seeks revenge on the antagonist. The antagonist must have done something that warrants the hero’s desire for vengeance. In other words, the hero must have moral justification for seeking revenge. In Vengeance stories, the hero feels like they have no choice but to take matters into their own hands because the institutions that normally deal with the crime committed against them are not doing anything about it, either because of incompetency or inability. Thus, the justice the hero seeks is of the vigilante variety. It’s important to note that the hero’s vengeance (the villain’s punishment) must fit the crime. So if the villain cheated the hero out of millions of dollars, the hero can’t plan to kill him. That punishment doesn’t fit the crime, and the audience won’t “buy into” the story. But if the villain brutally murdered the hero’s entire family, then the hero setting out to kill him is a plot the audience can root for. Though if you don’t subscribe to the “eye for an eye” philosophy, this masterplot is probably not for you. Vengeance masterplots tend to be action heavy. Even if there are moments of character reflection about the nature of good vs evil, revenge and retribution, forgiveness and atonement, these moments are not the bulk of the story. Especially in movies, fight scenes rule this masterplot. I have combed my Goodreads list, but alas, I haven’t read any revenge novels! So I am going to use a movie I have seen as an example: GANGS OF NEW YORK. · PROTAGONIST SEEKING REVENGE: Amsterdam Vallon returns to Five Points, New York to kill gang leader Cuttings. · MORAL JUSTIFICATION: Cuttings killed Amsterdam’s dad in a brutal gang fight. · VIGILANTE JUSTICE: It’s mid-19th century New York! The police don’t care about gang leaders killing other gang leaders. So obviously young Amsterdam has to bring Cuttings to justice himself. · EYE FOR AN EYE: Cuttings killed Amsterdam’s dad, so Amsterdam plans to kill Cuttings. It’s simple caveman math. · ACTION: Though not filled with as much as straight up vengeful violence as KILL BILL, action still makes up the bulk of this film, including a lot of fights, and of course everything culminates in a final, bloody battle where the hero’s vigilante justice is served. Books: TRUE GRIT by Charles Portis, THE FIRST WIVES CLUB by Olivia Goldsmith (a neat example of revenge that isn’t violent but rather image-focused), HAMLET by Shakespeare, and THE COUNT OF MONTE CRISTO by Alexander Dumas. Films: KILL BILL, DJANGO UNCHAINED, UNFORGIVEN, THE CROW, POINT BLANK, MUNICH, and OLDBOY. Thank you for joining us today, we hope you enjoyed V is for Vengeance and we invite you back tomorrow for our next installment of Masterplots Theater, W is for Wretched Excess. And if you guys know any great novels based on the Vengeance masterplot, do tell! In Nobody’s Darling by Teresa Medeiros, the story starts when the heroine seeks justice on behalf of her brother. She believes the hero (a western time bounty hunter) killed her brother, and she tries to kill him because the authorities won’t help her. Later, she realizes he didn’t kill her brother and they set out together to find her brother. So, I’m not sure the entire novel fit the plot type, but at least the beginning does. An interesting twist! Sounds like vengeance plot turned quest. I suspect revenge is a popular plot because all of us have felt ourselves trampled by villains and served with injustice. Who has not wanted to hang a jury for letting the bad guy off? Who has not wanted to raise a sword against the evil mastermind? Who would not give our lives to protect the ones we love, and to act on their behalf when all is lost? As for movies, Secret in Their Eyes – the ultimate revenge, perhaps, because punishment is so brutal. Great post, Heather. I enjoyed your description of this masterplot, especially the idea of moral justification. You mention some excellent examples. I haven’t seen SECRET IN THEIR EYES, but will check it out. And I have to admit that when served injustice myself, or when witnessing it happen to others, my mind instinctively plots revenge. Perhaps I should put those feelings into words… Glad you enjoyed the post, and thanks so much for the comment! Well, I’m a fantasy fan, I’ve read my share of vengean stories, and I have to admit this is a kind of masterplot I really like. Not because of blood-shading, mind you, but because it has the potentiality to bring up a lot of intersting reflections. One of the most intersting I read was David Gemmell’s “Ironhead’s Daughter”. Gemmell wrote the vegeance masterplot quite often and he was particularly interested in normal people doing the wrong thing. In “Ironhead’s Daugther” the protagonist, Sigarni, is raped by a group of men when she gets arrested and put in jail. She manages to evade thanks to her witts and afterward she seeks and kills all the men in the group. This group is very diverse. You don’t have the normal hateful bunch of men, but every one of these men is different and has his own personality. One of them is actually a good men who got caught up in the ‘pack psichology’ and did something he would have normally never done. Sigarni kills him as she kills all her rapers, but Gemmell had the possibility to rise a few questions: what is a just punishment? When someone is punished for a crime, does it matter their personality and previous behaviour or is the crime they committed more important? Does it matter if they repent? Does the victime have the possibility to chose the punishement, whatever it turns out to be, because they’re the ones who were wronged? Where exactly do you place the line of justice? It is an adventure-packed story (all of Gemmell’s stories are), but there is a lot of food for thoughts in there. Fantastic points, Sarah. I will have to check out that book. Thanks for the comment!